No, not everyone wants or needs the latest expensive smartphone offer from Apple or Samsung; sometimes just a reliable, solid, and feature packed handset will do the the trick. In previous years budget smartphone buyers had to do with slim pickings, but now the market is awash with decent yet relatively inexpensive phones, available either to buy outright, or on contract for a crazy low monthly amount. 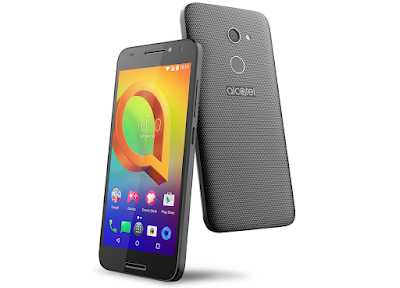 We've been checking out one such phone in the Alcatel A3. 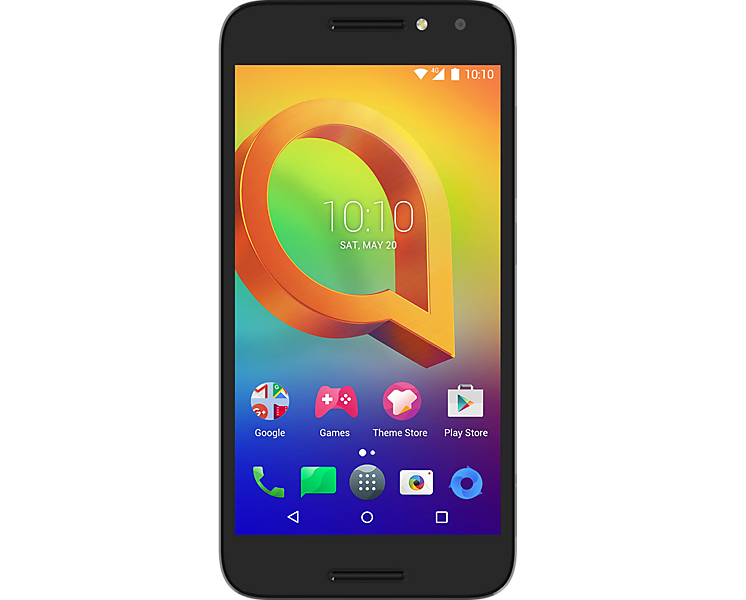 This was our first ever experience of the Alcatel brand, and its been mostly a positive one. The A3 is an Android smartphone with a five inch screen, a decent camera, slightly more RAM than you might expect, and weighing in for around £100 (depending where you shop - but certainly no more than £140). The handset is sleek enough to feel modern and light, yet sturdy enough to feel like it could withstand a few knocks and bumps. That five inch screen has a resolution of 1280 x 720, so not bad in the slightest, while the internals boast 1.5GB of RAM, 16GB of storage (expandable thanks to the Micro SD card slot - yes! ), and a 2460mAh battery. Which is okay. We also want to mention the sleep/wake key, which is metal and roughly textured making it easy to find in the dark and a pleasure to press. Seriously. There is a 13MP rear camera which produces clear and bright shots, and which can also record video, but only up to 720p. The selfie cam is 5MP, and the Alcatel A3 comes with fun selfie software as standard. It was that inclusion that led us to think that Alcatel might be aiming this at younger people, especially teens who are getting their first smartphone and keen to stay social. That feeling was continued while using it. Android works very smoothly on the device, and the processor and RAM seemed to manage all the everyday tasks we threw at it without slowing down too much. However, if you want to do more than text, surf the net for a bit, and send some tweets, you might notice the occasional bit of lag. We opened a dozen of so Chrome pages, left several apps running in the background, then tried to launch a fairly large game. This caused delays and even one crash. It sorted itself out after 30 seconds or so, but just bear in mind that this is no work horse phone. But it is a secure phone. On the back, just below the camera, is a round plate onto which it is very easy to place your finger. That's intentional, as it is a fingerprint sensor, and we believe this is the first budget phone we've tested that possesses one. It was very sensitive and worked excellently, unlocking the device in less than a second every time the correct finger was placed there. Again, that will appeal to all ages, but especially younger people who might be in close quarters with friends (OMG, are you trying to read my Snapchats?). 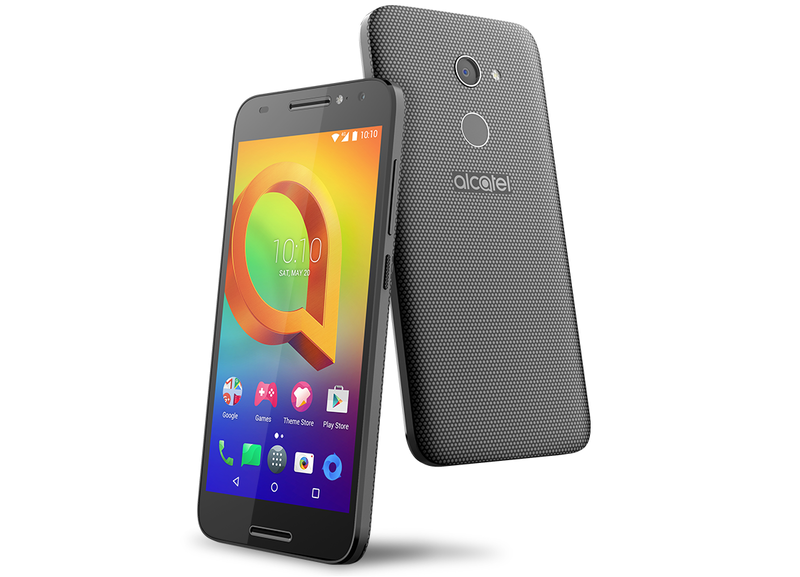 The Alcatel A3 isn't waterproof to any degree, nor does it feature a removable battery. The back cover pops off to reveal the SIM (just the one, although there is also a dual SIM version out there) and SD card ports... but that's all. Still, in the hand it is comfortable, pleasingly tactile, and of a size that is easy to hold for long periods. 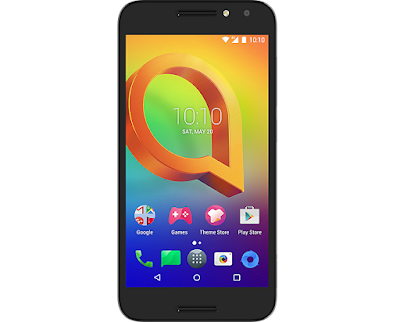 So although the budget quality of the Alcatel A3 begins to show under pressure, for everyday use - especially for a younger person - it is a sound and reliable phone. 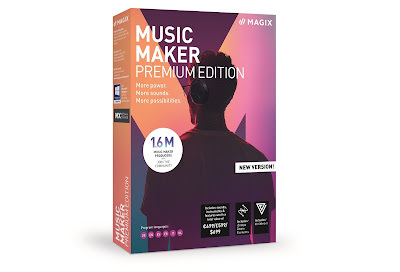 It looks nice, plays nice, and actually feels like you're getting a good deal when you consider the price. We like.